"Does homework really ‘advance learning’? How much should we be giving? How often? Should ‘we’ be directing homework at all? US grade school teacher/researcher, Annie Murphy Paul, addresses these questions in this article "
The first three questions above from a recent Facebook post, really mirror a debate I have been having with myself in recent years when approaching different learner groups. I frequently move between teaching young adults in an intensive EAP program, to working with adult learners in the Business English classroom, to teaching teachers at my institution. Yet, I do value and prescribe 'homework' for each of these groups, to varying degrees, and here's why. Homework is something I have come to value as a learner myself, as much of my current studies are done via distance. Studying at one's own pace, and in one's own space, allows learners time to grapple with a task, which aids processing and reflection. This is when deeper learning occurs. The notion of 'work being done at home' also fits well with a maxim I have come to value through fostering a task-based approach to language teaching in my classrooms. That is, that a great deal of learning can occur - without the teacher. While learners may snorkel through tasks in the classroom, they can scuba dive at home. However, when it comes to working with EAP/ESP learners, the question of 'how much' homework to set is tricky. Over the years, I have moved away from aiming for a certain number of ‘hours' of homework per night. I have seen a 10-minute homework task generate a week’s worth of further learning and equally observed the effects of learners being up all night studying. That said, I do think teachers need to consider approximate timing when choosing tasks and share this with their learners. Knowing 'what' to set for homework in EAP settings can be even trickier. Often the teacher must balance individual learner needs with program needs, including timings set by prescribed assessment tasks. ESP learners are often balancing work and study, which limits the amount of time they have available for further learning at home. So where do we go from here? For me, prescribing homework comes down to focusing on quality over quantity and deciding on a purpose. Alternatively, the homework set might be designed to ACTIVATE schemata about a topic in preparation for the next day. Sending learners off to do some pre-reading, design a concept map or word cloud based on a text (e.g. using Wordle), or find a YouTube clip that explores the week's theme to share on our class Facebook group, are just a few examples of this. Asking learners to COLLABORATE or CREATE with their peers is something I’ll set about once a week. For instance, asking learners to peer review writing via Google docs, make vocabulary flashcards with a partner (e.g. using Quizlet), prepare a grammar auction for the class, or interview a classmate on a topic with voice/video recorders are all useful communicative and formative homework tasks. Encouraging learners to EXTEND their repertoire of learning activities to include things like extensive reading or working with websites, such as EnglishCentral.com, TedTalks or Memrise, are good homework habits to foster. Furthermore, simply allowing learners EXTENDED time on tasks outside of the classroom, such as preparing or reviewing essays, conducting library research or interrogating longer texts at their own pace, is equally important. My instructions on 'how' to do the tasks described above are often minimal, preferring to allow learners to explore solutions that work for them. I do, however, always make time for a short homework review in class for learners to present their results or reflect on the experience, which helps to elevate metacognitive awareness. Giving learners checklists to reflect on 'how' they approached a task can be helpful here. There is no doubt that prescribing purposeful homework tasks does add to your planning time as a teacher. However, I find that once you build up your repertoire of tasks, the choice of homework task often reveals itself more easily during class. Is homework, time well spent? Overall I would have to say 'yes'. My students' creativity in approaching homework tasks never ceases to amaze me. Often the time they choose to spend on tasks is far more than I would ever set, as intrinsic motivation kicks in. By 'exploring' rather than simply 'doing' their homework, learners discover more than just the single text or exercise that might be set by the teacher. So let's return to the first letter 'S' needed to complete the S.P.A.C.E approach. For me, this stands for SOCIALISE (or my students might suggest SLEEP!). These words are important reminders that our learners actually do have lives - other commitments, explorations and aspirations to attend to - and sometimes they just need a break from study altogether. Afterall, learning in another language is no mean feat. Ultimately, finding the right balance when it comes to homework is indeed a tricky thing. As with everything in the TESOL profession, there is no 'one way' of doing things. However, making S.P.A.C.E. for homework tasks is something I have found to be a largely positive experience and it's a topic I would encourage every teacher to explore with their learners and examine in their practice. Which elements of S.P.A.C.E might work for your learners? How might you describe your overall approach to homework? 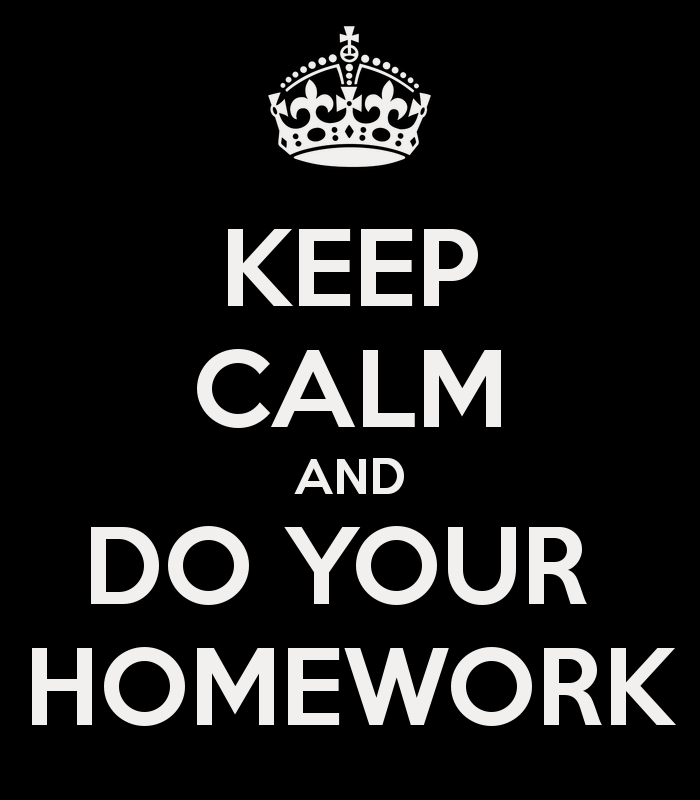 Ask other teachers in our staffroom what their approach to homework is. Check out this great infographic by TeachThought.